Three years after defending Japan from the onslaught of Legion… Three years after the 1996 S.H.MonsterArts Gamera… The 1999 Gamera seen in the epic battle against Iris joins the S.H.MonsterArts line! Of course it includes an optional burning fist, letting you re-create epic monster fights! 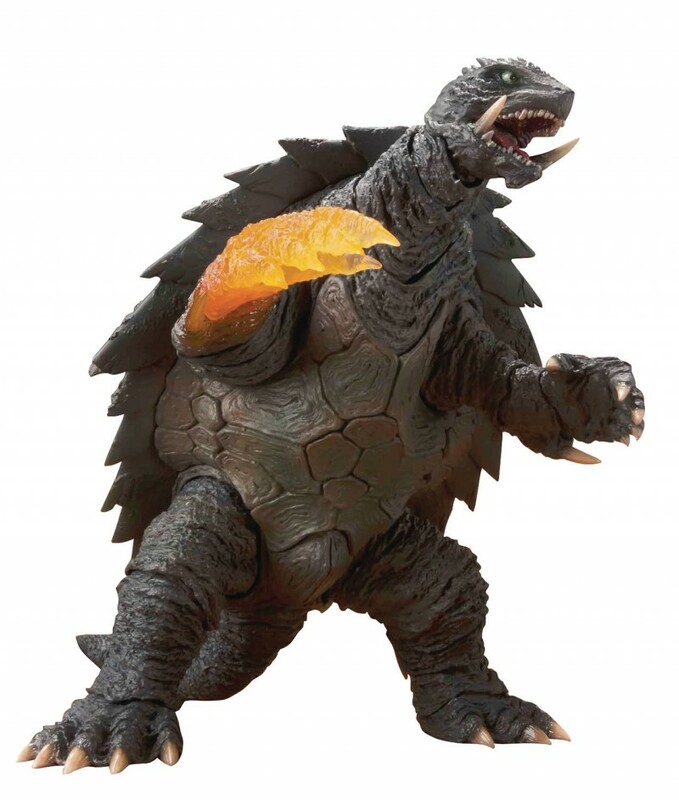 This bulky, awesomely detailed Gamera is one figure fans won’t want to miss. In addition to the optional burning fist, the set includes optional flying mode arms, tail, and waist parts, plus a flying mode stand.